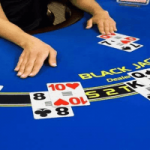 Whether you’re new to casino gaming or a casino veteran, blackjack is one of the simplest and most fun card games casinos have to offer. 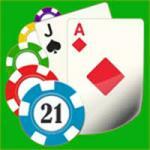 The objective in blackjack is to beat the dealer by getting a hand as close to 21 as possible without going over. To play casino blackjack, you need only a basic understanding of the rules and a desire to have fun. So how do you reach 21? In blackjack, the cards have values. Number cards two through ten are counted at face value, while all face cards (King, Queen and Jack) are worth ten points. 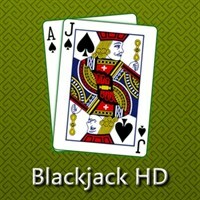 The ace is a special card in blackjack: you decide whether it’s worth one or eleven points. Since casino players are dealt two cards to start, if you get an ace and a face card or ten, you have 21—an instant win, as long as the dealer doesn’t get 21 as well. This two-card winning hand is called a “blackjack”; hence the name of the game! Casino rules for blackjack are basically the same at all casinos. After you get your first two cards, your options are to hit, stand, double down, split, or sometimes surrender. Hit means to take another card; stand means to keep what you have. A double down means you will double your bet in exchange for taking only one more card (you can draw up to five cards in blackjack). If your first two cards are the same value, you can split, or separate them and play each card as a different hand. 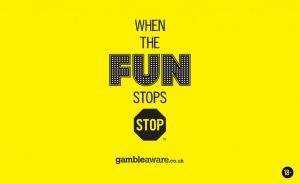 Not all casinos offer the option to surrender, which means you would withdraw from the hand and receive half your bet back. When you play blackjack at a casino, be sure to know which table to choose. Most casinos have color coded blackjack tables according to the minimum bet the table accepts, usually $3, $5, $25 or $100. In any casino, it’s a given the $3 and $5 tables will be crowded, but they’re great for beginners at casino games because all of the cards are dealt face-up, as opposed to the one-up, one-down method at higher tables. So the next time—or the first time—you visit a casino, make a stop at the blackjack tables and aim for 21!